WaterCare®'s line of filters has a variety of solutions to match your exact water issues. Common water issues like foul smells, discolored particles, or low pH are no match for our line of proven water filters. Reduce impurities in your water, and keep your well, plumbing system, and fixtures looking and operating as they should. Reach out to a dealer today to learn more! At WaterCare®, we know that no two homes are alike, so we offer options. Our state-of-the-art water filters are available in an array of models, making it easy to find something that works for you. Whether it's a foul smell, discoloration, or another issue, WaterCare® offers a water filter expertly tailored to compliment your home. Browse our options below to see which of our filters suits you. Ion Pro filters are capable of removing the rust stains, odor, and foul taste commonly associated with well water. 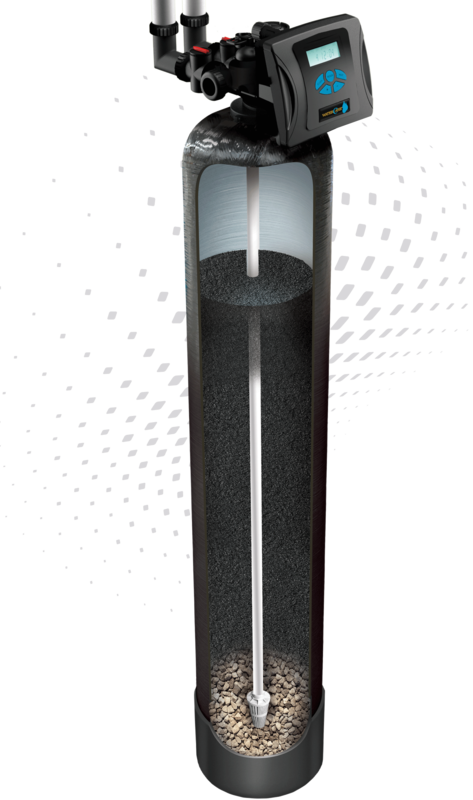 The system uses an air chamber to oxidize dissolved contaminants into solid particles, making them easy to filter. Each Ion Pro is customized with the proper media to handle the exact issues you may be dealing with in your home. 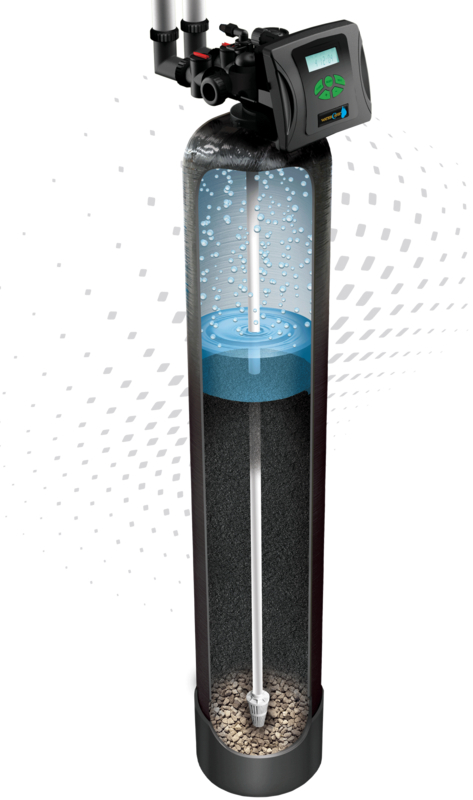 Each Ion Pro filter comes equipped with our patented Inch Worm™ air release Technology. When your unit initiates its service cycles, Inch Worm™ Technology activates to let the air escape slowly and quietly. This eliminates drain line thrashing that traditional filters experience. CareClear Pro filters are some of the most flexible filtration systems we have available. Whether you suffer from water that smells, water with unwanted particles, or acidic water corroding your fixtures, there is a CareClear Pro that can bring your water back to the clear, fresh liquid you'd expect. CareClear Pro filters remove unwanted contaminants simply and efficiently, using only water to backwash the system during its cleaning cycles. With CareClear Pro, you can rely on a system that is efficient and environmentally friendly! These filters can be customized to focus on your unique water problems. Click on the links below to explore the right system for your home. Tannins are organic materials your water picks up from the ground as it travels to your home. They are harmless but can cause your water to turn brown, smell foul, and taste gross. 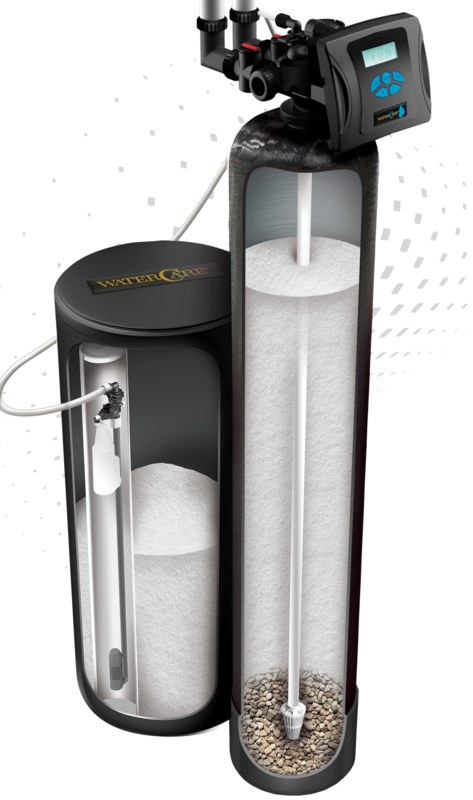 CareSoft Pro tannin filtration systems are designed to effectively treat discolored water, which can be found in well water sources. A tannin system can provide the quality water you want without all the unwanted minerals, discoloration, odors, nasty tastes, or acidity. These filters are manufactured to use water efficiently, conserving your water supply and preserving your well and its components. Click a button below to view animations on how Ion Pro Series Backwash "Air" Filters works to treat the water in your home. Talk to a WaterCare dealer about Ion Pro Series Backwash "Air" Filters systems today. This is the normal operating position of the filter. In this stage or position, untreated water flows through the inlet side of the control valve and down through a "captured" dome of air which oxidizes and precipitates iron and/or sulfur. As the water flows through the media these precipitated contaminates are filtered by the media. It is at this moment the undesirable minerals are removed from the water. Backwash Air Position - nick name "Inch Worm"